Thanks for the good explanation of the command lines available. You can use [tmutil isexcluded *] to view all inclusions and exclusions. 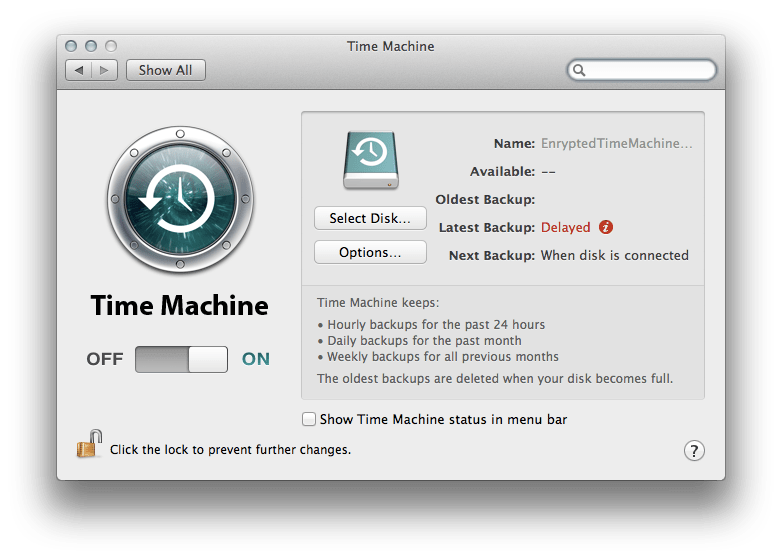 The information listed by [tmutil isexcluded] is not on par with what System Preferences:Time Machine: Alternatives show. Lion has the a new feature that allows laptops to make local snapshots to the boot disk, when a time machine disk is not connected. Later once the dive is connected the backups are moved tot he TM drive. My MBP has two internal drives SSD (boot) and HDD (data) is there a way to force the mobile snapshots to use the HDD instead of the SSD? It would be nice if you could figure out how [tmutil associatedisk is supposed to work or if it doesn’t work with Leopard volumes. Trying to pull from backups to migrate to Lion from Leopard and it’s pretty joyless. Keeps telling me he chosen volume is not a snapshot volume but by all I can discover, it is. Put sudo in front of the command. With a mix of your post and this one http://www.garth.org/archives/2010,07,16,124,fixing-time-machine-sparsebundle-network-backup-errors.html/comment-page-1#comment-56685, I managed to get my Time Capsule backup back on tracks. Thanks a lot and thank the web! Are you aware of a way to delete one file from TM backups? We have identified a security issue and need to find a delete a single file that may live in users backups. Now that is a good question. I’ll look into it and write something up if I find something. Will this work using tmutil to backup a Lion client to a Lion Server? Thank you so much for all this, helped me a lot to deploy our TM backups. I am struggling with the command line to defaults write another value for StartInterval, i cannot find information on writing nested values. Next Next post: Time Machine: "We Don't Need No Stinkin' Versions in Mountain Lion"